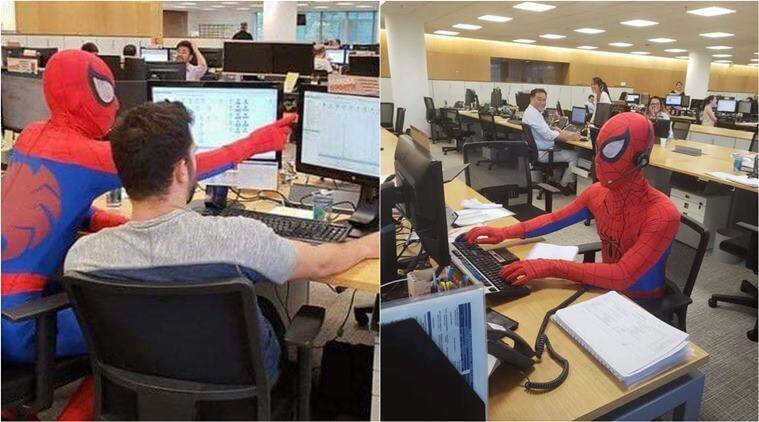 A man in Brazil went to work wearing a Spider-Man costume on his last day at work.He is a banker at a Sao Paulo bank and was photographed working at his desk in the iconic red and blue costume.The pictures of him are doing rounds on social media. The incident came to light after Walter Costa, his colleague, shared pictures of him dressed as Spider-Man at work on Instagram. In the video this Spider-Man banker is seen interacting with collegues, while going from one person to the other distributing stuff. The video created a buzz online and many said that it is a great way and others came up with spider man memes.